What Can We Learn From Ravens? May 21, 2015 in Animal Stories and Principles, What Can We Learn From... ? Every afternoon at about 3pm at my kids’ school, large numbers of very entrepreneurial ravens start to gather. They know that after the playground has cleared, there are easy pickings of sandwiches, fruit or other goodies waiting for them. My observant oldest son Hayden claims that he has even seen them use their beaks to open up lunchboxes so that they can get to the food within. So they gather, they swoop and they feast. What does that have to do with us I hear you ask? I’ve met a lot of people who act and talk as though they are trapped. They may be in a dead-end job that they hate. They may be deep in debt. They may have unhealthy habits that are inhibiting them. Here’s the message for us today. They go to where the opportunities are. They use their problem solving skills to unlock and overcome the challenges in their way. And as a consequence, they never go hungry. 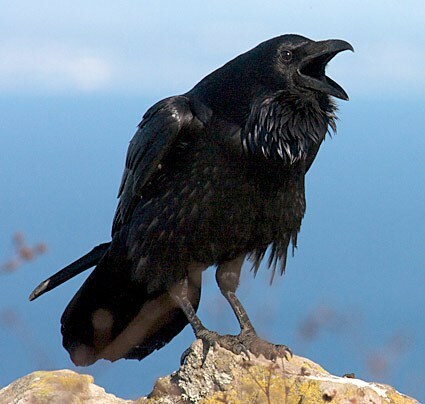 Ravens are very clever birds, but surely they aren’t smarter than people. Very nice story and your creative imagination’s is fabulous!